Teal Stetson-Lee is 20 years old and has lived in Durango, Colorado her entire life. The only bike race that Teal did before the summer of 2006 was her first time on a road bike. 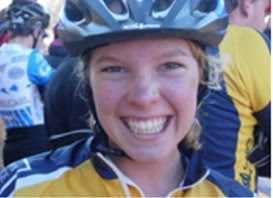 On a whim, she rode from Durango to Silverton in the Iron Horse Bicycle Classic on her seventeenth birthday. The summer of 2006 marked Teal’s very first mountain bike race ever, The Durango Dirt Lovers race. This race was what hooked Teal on the sport and she then decided to join the Fort Lewis Cycling Team in the fall. After having an extremely successful season, including the Collegiate Mountain Bike Nationals in Angel Fire, she then pursued cyclocross and went to the Nationals in Rhode Island. Previously, Teal’s primary sport was cross-country skiing, qualifying for the Junior Olympics three years in a row. She also is a passionate telemark skier and salsa dancer. Her other hobbies include: long-boarding, camping, hiking, kayaking, swimming, backpacking, ballet, listening to music, eating artichokes, and playing the bongo drums. She in currently attending Fort Lewis College as a sophomore majoring in Spanish and Gender Studies. One of her greatest interests is traveling, which she truly fell in love with when she was an exchange student in Chile for a year in 2004-2005. 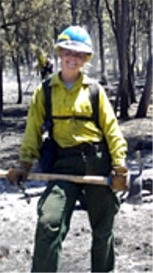 During the summer, she works as a wild-land firefighter for the Forest Service but is looking forward to competing in mountain biking this up-coming summer and learning more about the sport, as well as striving to improve her racing results.